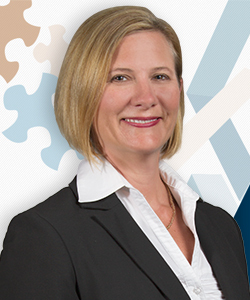 Kristie Titze is a Certified Public Accountant with over 21 years of experience in accounting and financial operations. As an Executive Consultant for Medical Management Services, Kristie’s range of expertise in healthcare finance extends from accounts payable processing, payroll processing, and tax return preparation to financial statement analysis and financial reporting. Kristie has worked in the public accounting industry for over 17 years specializing in individual and corporate tax including advisory services for both. She has worked with many industries including service, health care, manufacturing, retail, construction, real estate and not-for-profits. Kristie earned her Bachelor’s Degree in Accounting from Georgia State University in Atlanta and is a licensed CPA in the state of Florida. She is an active member of the American Institute of Certified Public Accountants (AICPA) and the Florida Institute of Certified Public Accountants (FICPA).